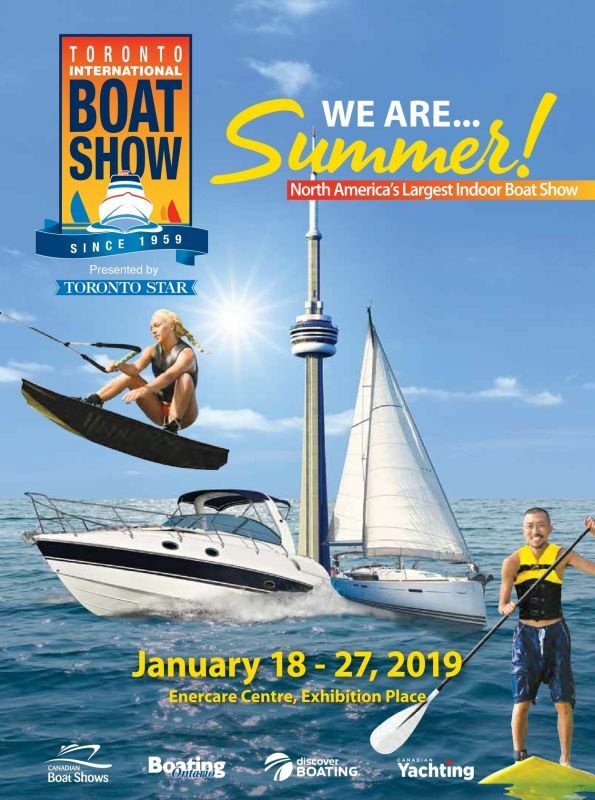 You are browsing the archive for Toronto International Boat Show. 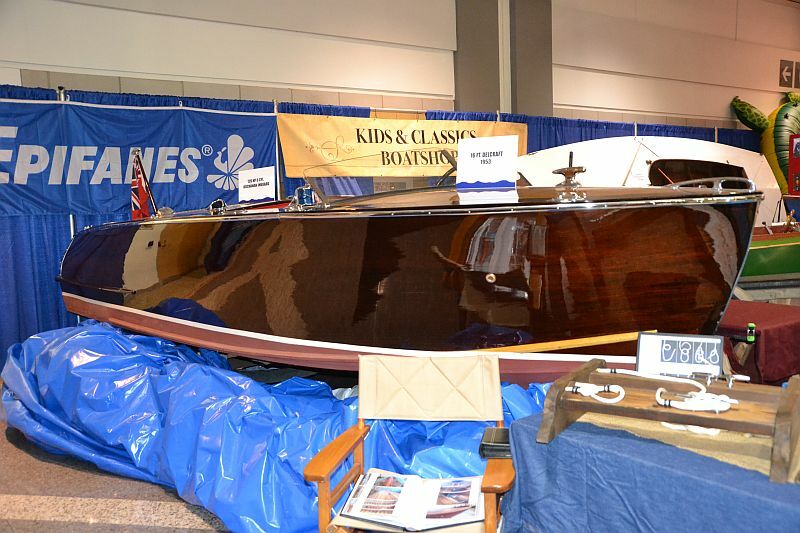 The Toronto Chapter of the Antique and Classic Boat Society is out in full force with a wonderful display at the entrance of the 2016 Toronto International Boat Show. 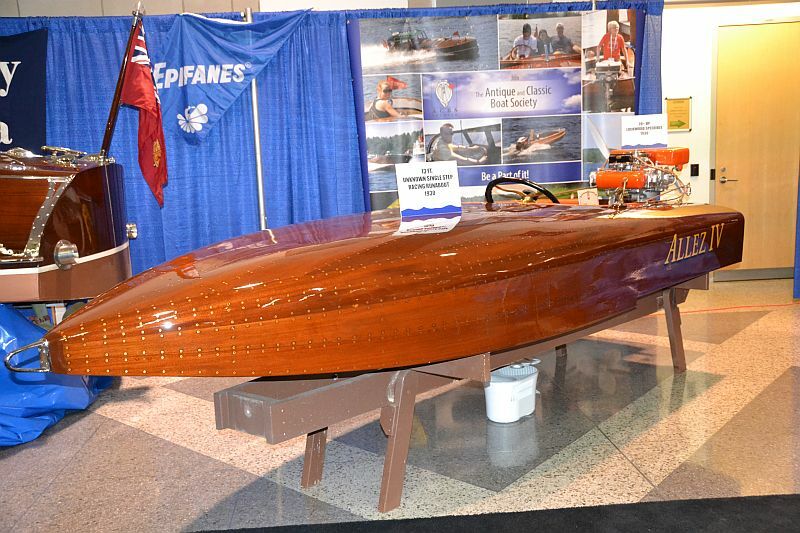 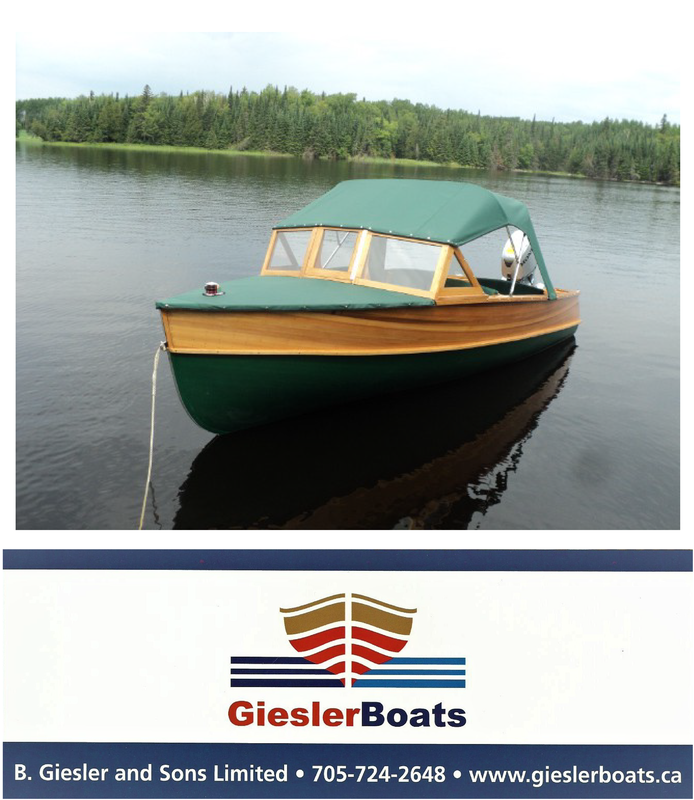 In conjunction with this year’s theme for the upcoming Gravenhurst Summer show, the display features two Greavette boats, a 22 foot utility with painted sides and a 24 foot Greavette Sheerliner. 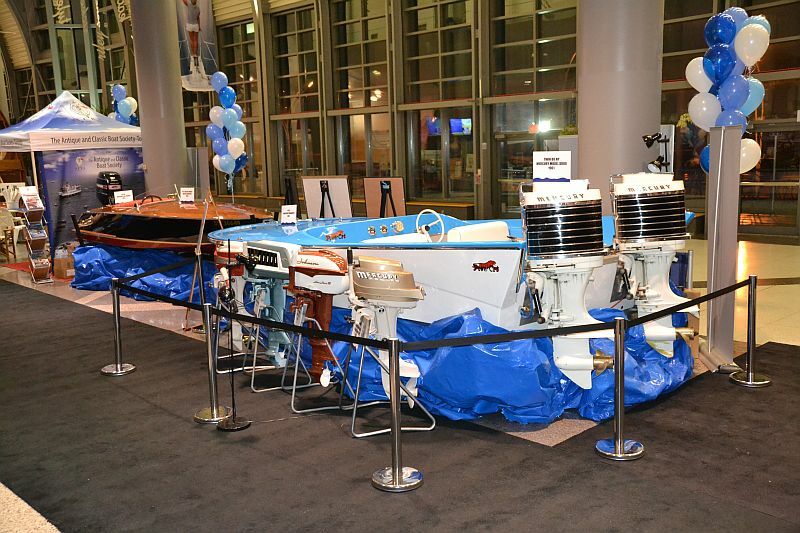 Also featured in the display is a Power Cat tunnel hull with dual vintage Mercury 80 hp outboards, a “C” Class racer, a 14 foot outboard with a 60 hp Mercury outboard, a 1930 13 foot step-hull Bullet Allez IV with a rare outboard and an inboard, 16 foot 120 hp. 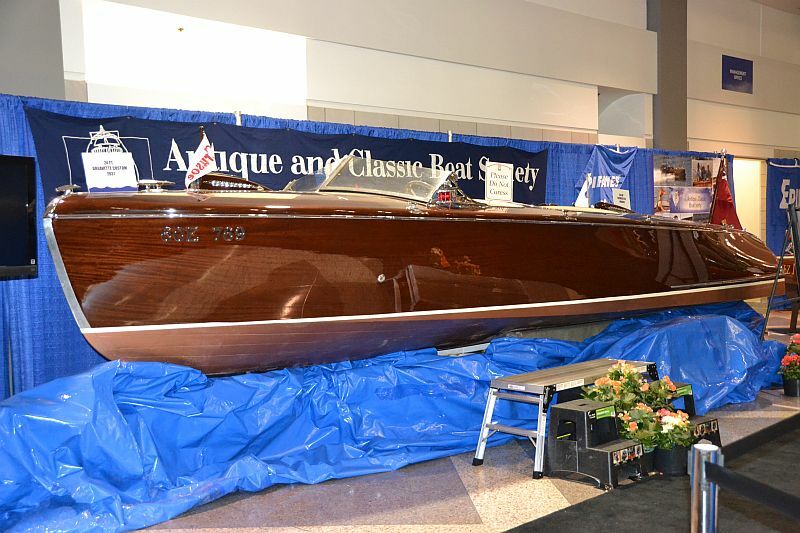 Delcraft. 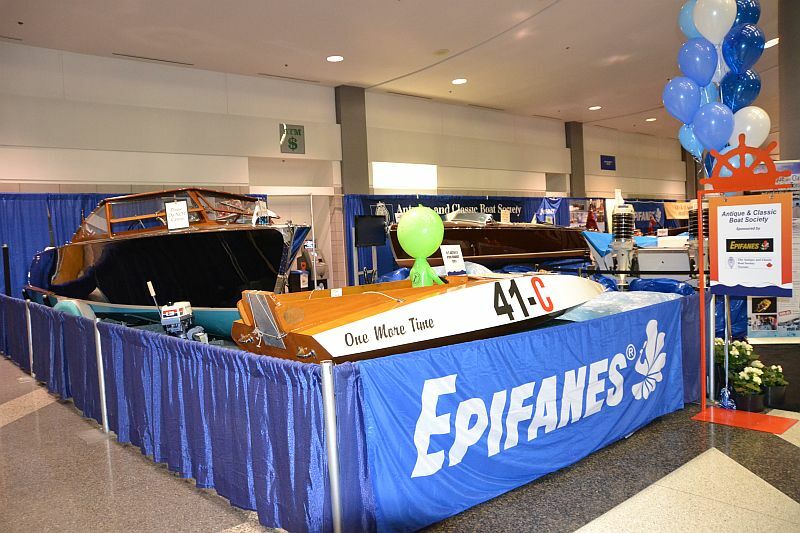 If you’re heading to the show this week, be sure to take time to check out these stunning vintage boats.